Halloween approaches, and to ensure a truly terrifying time this year Valve’s free-to-play shooter is becoming Scream Fortress. This time around the game is picking up a great collection of new spooky items, as well as bringing back everything from times of Halloween past. Team Fortress in fancy dress not scary enough for you? Then try one of the best horror games on PC. In the Gargoyle Cases you’ll find 19 new Halloween-themed items. If you find one, it’s yours for good: there’s no time restrictions on these goodies as there have been on Halloween items in the past. You can use these items on the game’s four new horror-themed maps: Gorge, Hellstone, Moonshine, and Sinshine. Each one is home to a different game mode, and all were created with the community. The same applies to the 19 new items, and all community contributors will profit from the event. This year’s metagame revolves around Gargoyles. Collecting Gargoyles in matches and completing missions for the demon Merasmus will help you climb the event leaderboard. 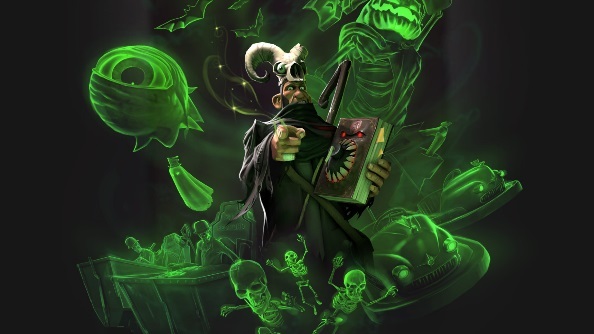 The more you do for Merasmus, the better chance you have of earning rewards from past Halloweens and grabbing one of those new Gargoyle Cases. Should that just not be enough, there’s also terrifying new taunts to annoy your enemies with. You’ll also find the Mannpower mode, with cool grappling hooks, is now out of beta. Scream Fortress is active right now, and goes on until November 11th. Be sure to check in for some truly terrifying shooting madness.